If big guns are your bag, you won’t want to miss a day at Manassas National Battlefield Park retracing the steps of the Union and Confederate artillerists during the First Battle of Bull Run with widely regarded expert Craig Swain and your humble host, me. Same game plan – no fees, everything is on your own (food, lodging, transportation). We’ll meet up at 9 AM on October 20, 2018 and head out onto the field. Dress appropriately – tour is rain or shine. Expect to discuss all aspects of artillery: gun manufacture and capabilities, tactics of the day, and the action. We’ll also discuss some of the personalities involved. This will be the FIRST artillery tour of First Bull Run since Henry Hunt led a staff ride over the field in March of 1864…. NO… I’m making that up. But I would say the artillerymen have been given less attention than deserved for their actions at First Bull Run. Much attention is focused on the employment of batteries on Henry House Hill which proved a crucial turn in the battle. 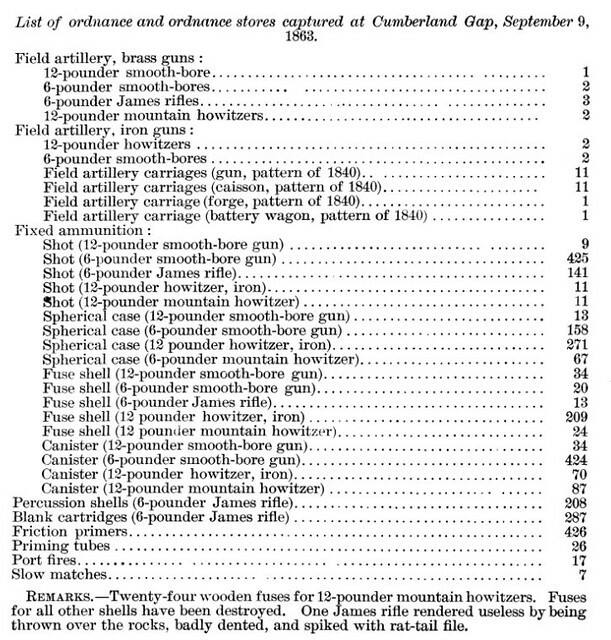 And much has been heaped – wrongly in my opinion – over the notion of “flying batteries” or “artillery charges.” Though little has been mentioned of the other ten Federal in the campaign… or the more than a dozen Confederate batteries on the field. When Harry first proposed this tour subject, he promised a “no holds barred” concept. Mostly, we’ll consider the nuances of drill and tactics as employed in this “early war” setting. But be prepared for discussions of the “metallurgical art of cannon making” along with some “practice of battery command” topics. I promise not to break out the trigonometry tables, however, as we won’t actually be shooting off anything! If you are interested, Harry has setup a Facebook event page. Please let us know if you plan to attend, so we can best factor logistics. My friend, Bud Hall, took this picture earlier in the week. You are looking at Ruffin’s Run. Normally, it is a sleepy little stream that bisects the northern end of the Brandy Station battlefield. Crossing at this bridge is Beverly’s Ford Road, an ancient path to… well Beverly’s Ford, an important crossing of the Rappahannock. And you are looking in the direction of the Rappahannock, which is not far beyond the distant tree line at the end of this road. Ruffin’s Run flows from left to right in this view. As you can see in this photo, the run is just returning to its banks having expanded out across the flood plain, showing just how strong and nasty it could be! On the morning of June 9, 1863, Colonel Benjamin “Grimes” Davis lead his brigade down this very road (coming towards the camera). It was here… well more accurately in that tree line in the distance… that the Gettysburg Campaign began when Davis’s men engaged Confederate pickets covering Beverly’s Ford. Davis, however, would not return this way. He was mortally wounded just a short way down the road (behind the photographer) that morning as the fighting unfolded. Yet, that is just the “banner event” which one might link to this spot. I run out of fingers and toes counting the number of times we read of Federal or Confederate troops passing this very road on the way to, or coming from, Beverly’s Ford. And of course, during the winter of 1864, this was practically a highway with Federal troops moving to and fro within their winter encampment. A simple blog post is not sufficient to detail this location’s pedigree. And let us be thankful this spot is preserved and being maintained to within bounds of its historical appearance. While we might quibble over the safety rails and width of the modern gravel road, lacking that it is from wagon ruts. But we will agree this spot leaves the integrity of Ruffin’s Run and its floodplain. No additional drainage is there to clear excess water from those spring and summer freshets. That bottom land grows up wild. The stream is as “untamed” as it was in 1863. Thankfully, because preservationists thwarted attempts to convert this ground into a racetrack or office complex. It’s battlefield. And Grimes Davis would probably not have much trouble orienting himself, if brought to the spot over a century and a half after that fateful day. Great, battlefield preserved…. greenspace… but what of it? I’ll tell you what of it. That nice ribbon of mud across the road is the stream talking to us. That is a history lesson. Put yourselves in the saddle as a trooper crossing Ruffin’s Run or any similar stream in the central Virginia Piedmont – say, as I offered to Harry, Stoneman’s raid at the time of Chancellorsville. Just one heavy rain might surge that stream to overflow up past the banks and into the flood plain. So from that ribbon of mud in the foreground out to the distant rise beyond, we are fording. Fording a raging, angry stream which on the map is but a dashed line indicating a minor little flow. Everything you own and possess will soon be wet… including the tender hind quarters that sits in that McClellan saddle. While in good weather this crossing would barely get a passing consideration. In bad weather, this is simply a bridge which… well… isn’t long enough. There are some who’ll jump into the conversation about preservation to say, “you don’t really have to stand there in order to understand the battle.” Maybe one can grasp the high level points by just looking at a map accompanying good prose. 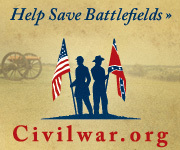 But nothing, I would challenge, can ever replace the actual ground of the battlefield as a primary source. And therefore, any historian who writes of a battle without actually becoming intimately familiar with the ground does so with feet firmly planted in thin air. In the land of theory…there is none of war’s friction. The troops are, as in fact they were not, perfect Tactical Men, uncannily skillful, impervious to fear, bewilderment, boredom, hunger, thirst, or tiredness. Commanders know what in fact they did not know…Lorries never collide, there is always a by-pass at the mined road-block, and the bridges are always wider than the flood. Shells fall always where they should fall. We sometimes easily fall into the “wargamer” trap of thinking all battlefield occurrences can be distilled down to statistical probabilities with great certainties. Folks will tell us how “morale” and “unit cohesion” should work based on nice, clean predictions, distilled into “factors.” Or we will roll a pair of six sided die and consult a table to determine if the rains prevent unit movement. The real world just doesn’t work that easily. Every step is another contention, large or small, to be resolved. Maybe the passage is eased by a bridge. Or maybe the stream has flooded over the bridge and there simply is no way around save getting wet. And that’s not just in war, mind you! Battles will always be fought uphill, in the mud, with the sun and wind in your face, at a point where four map sheets come together. There will be adversity, so prepare for it. The lesson, which calls out from that muddy flood plain of Ruffin’s Run, is simply – adversity will always be there. It’s knowing how different people adapt to meet that adversity which makes history a worthy course of study.